On November 28-30, the 6th international exhibition of construction equipment and materials BuildExpo Uzbekistan 2018 will be held at Uzexpocentre. 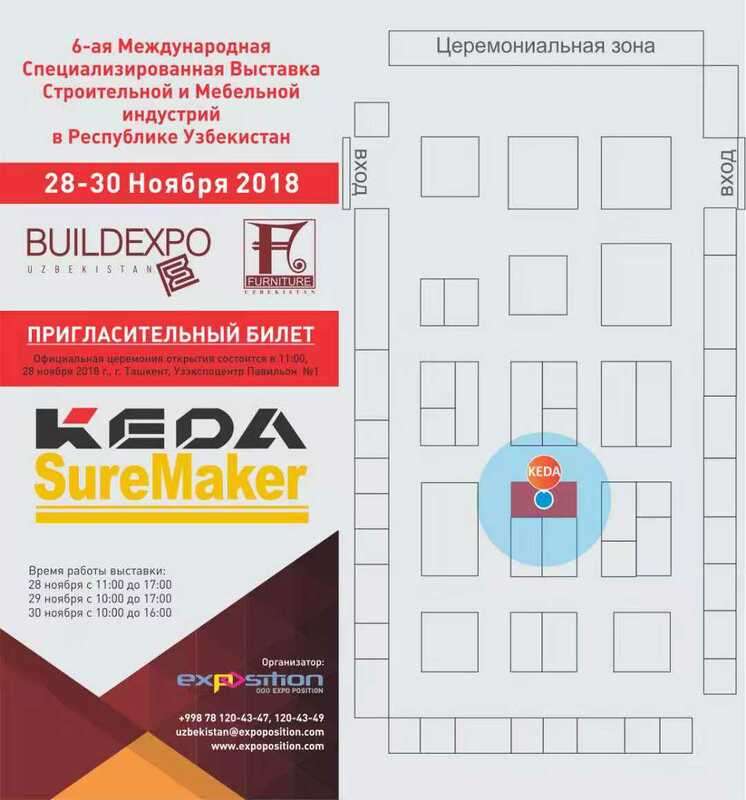 KEDA Invites You to BuildExpo Uzbekistan 2018, see our booth in following invitation. We will present advanced AAC plant solution on the show. We are looking forward to seeing you on our booth. Welcome!